The best software solution to open MBOX in Outlook without losing any data. With this intuitive tool, you can convert all your MBOX files into readable format of Microsoft Outlook i.e., PST. 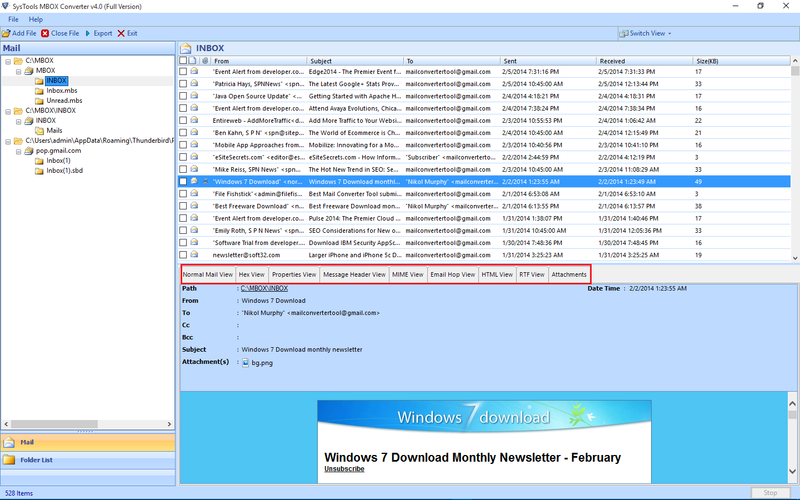 This will allow you to easily open MBOX file in Outlook and view original emails along with attachments. It will keep the metadata intact during the entire process including header information(cc, bcc, from ,to) and HTML formatting. Not only that, it will even keep the inline images and attachments in its original state. It allows you to read MBOX files of 20+ email applications including Thunderbird, Apple Mail, Eudora, Entourage, etc. in Outlook platform. Additionaly, it also supports the MBOX files generated from Gmail, Backupify & Google Vault without any problems. Multiple advanced features like date filters, split pst, selective export, etc are incorporated within this software to aid users through any scenario. Other than proper MBOX files(with or without extension), the tool also includes the variants of MBOX like MBX, and MBS. It mainatins the original folder hierarchy during the conversion and generates UNICODE PST files. This makes the PST file compatible with all the latest versions of Outlook including Outlook 2019, 2016, 2013, and below versions. The free trial version of software allows to export 25 emails firsthand. However, the full license version provides authority to perform unlimited conversion so that you can open MBOX in Outlook without any limitations. In simple words, it is the best way to achieve perfect results with minimum effort and time.